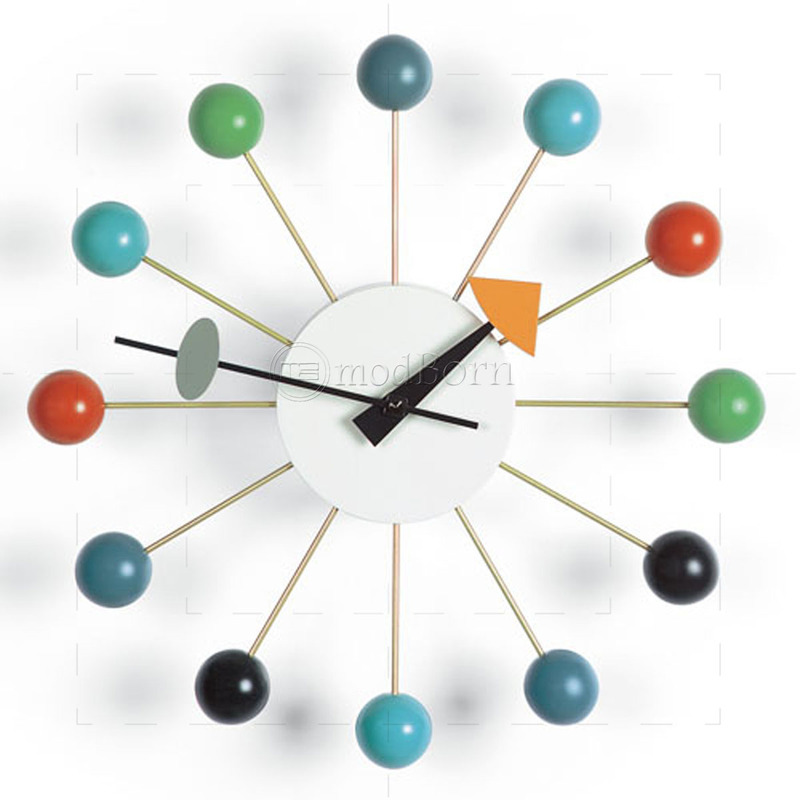 The Mutli color ball clock was designed by George Nelson in 1950. 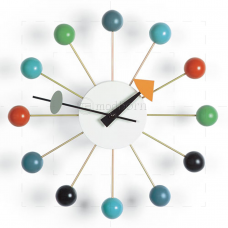 The Ball Clock is a reintroduction of a rare and important clock by George Nelson, a founder of American modernism whose work is featured in the Museum’s collection. The Reproduction George Nelson unique design is perfect for any room and will blend seamlessly with any room decor.